This August’s thrilling discovery of an Earth-like, potentially habitable rocky world in the star system closest to our own sent shockwaves through the scientific community. 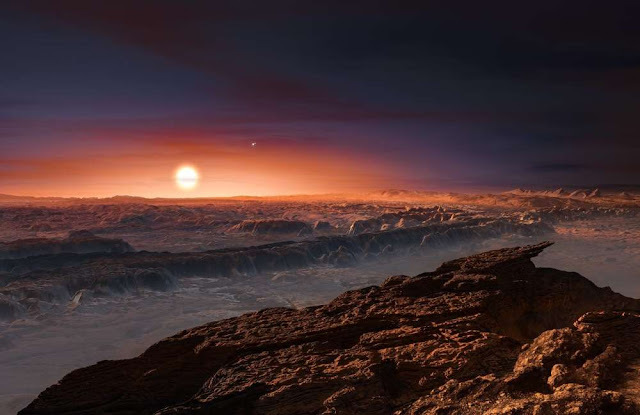 Now, a new study has concluded that Proxima b is likely to be an ocean world blanketed by a thin atmosphere. The discovery was made by a team of astronomers and astrophysicists from France’s National Center for Scientific Research (CNRS). 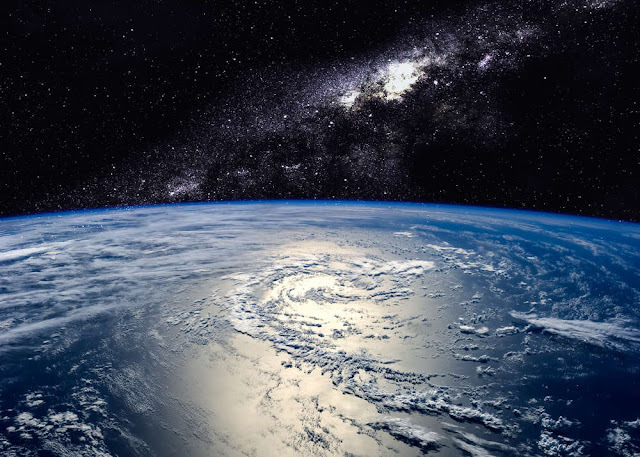 Although it was always seen as a possibility that the world contained surface water, scientists can only use mathematical models to make these kinds of predictions until it transits across the star – allowing researchers to study its atmospheric composition. And, although Proxima b's year length is 11.2 days, we've yet to see a transit and we're not sure we ever will. So instead, using a compilation of the most up-to-date data, best-guess estimates, and computer simulations, this team worked out the most likely distribution of mass within Proxima b. According to a peer-reviewed paper uploaded to arXiv, they calculated that its radius was between 0.94 and 1.4 times that of Earth’s. At the lower estimate, it would contain a very dense metallic core, one that makes up two-thirds of its mass. It would also be surrounded by a rocky mantle, just like Earth’s. Comparing this to many other rocky planets and exoplanets, the team estimated that if there is surface water, it would not make up more than 0.05 percent of Proxima b’s total mass, which is again very similar to our own pale blue dot. At the higher radius estimate, its mass would be split 50-50 between a rocky center and surrounding ocean. In this case, the world would be covered by a global ocean 200 kilometers (124 miles) deep. Either way, some sort of ocean is highly likely. Significantly, both simulations also indicate a thin atmosphere would also be present. These are merely hypotheses at the moment; it is also possible that this rocky world is barren, dry, and lifeless. However, evidence is certainly mounting that a second home to humanity could indeed be hiding right around the corner. "It is likely to harbor liquid water at its surface and therefore to harbor life forms," said the statement. This neighboring exoplanet has not yet been seen directly, but there is overwhelming indirect evidence that it’s real, and it’s hiding somewhere around its host red dwarf star, one that is 99.85 percent less luminous than our Sun. Although the outer reaches of this star system are frigid, Proxima b happens to be orbiting so close to this cool star that its surface temperatures are hypothetically ideal for liquid water – and where there’s water, there’s life. It’s tidally locked to the star, which means that one side is bathed in perpetual light, and the other is always shrouded in darkness. Initial reports put the temperature range of Proxima b at around -40°C (-40°F). If it has an atmosphere, as this new study implies, temperatures could be as high as 30°C (86°F) on its day-side and no lower than -30°C (-22°F) on its night-side. This is more than suitable for a surficial ocean, whether it’s a global one or multiple, scattered ones much like Earth’s. The former isn’t a bizarre, outlandish hypothesis – global oceans are already known to exist. There’s one beneath the icy surface of Jupiter’s Europa, and another beneath Saturn’s Enceladus. Fortunately, as Proxima b is within its star’s warm habitable zone, it is unlikely – at least on its day-side – to have an ice-capped ocean. In fact, if these new calculations are right, it could feature an ocean not too dissimilar from ours – and maybe, just maybe, it’s teeming with aquatic alien life.